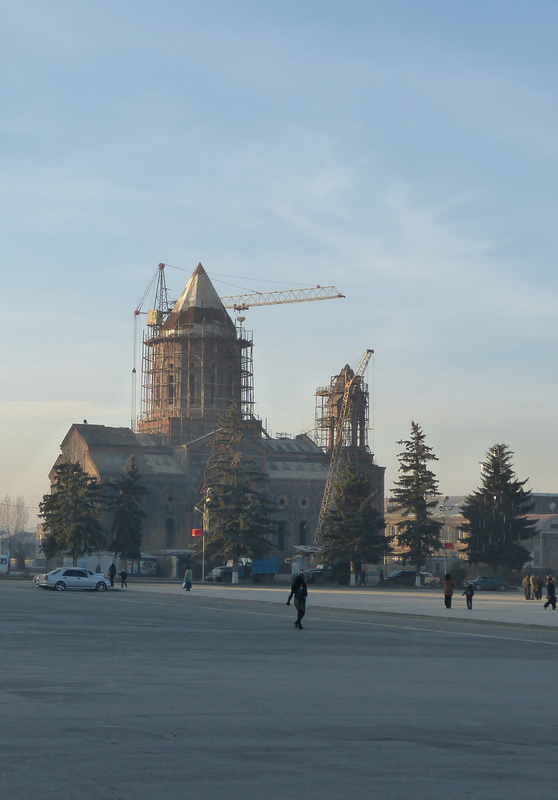 After the success of the co-production Tenk meetings in July 2012, the project Eurasiadoc began its second year of activities with a scriptwriting residency in Gyumri, Armenia, from 22nd November to 5th December 2012. Gyumri is Armenia's second largest city, located at 126 km north of Yerevan and at only 10 km from the Turkish border. If the city still has the stigma of the terrible earthquake of 1988 which destroyed 60% of it, the inhabitants are very proud of the glorious past of Gyumri. Called the cultural capital of Armenia, Gyumri has indeed seen many celebrities Armenian Arts and Letters. Berlin Art Hotel for accomodation and meals: Non-profit organization, Berlin Art Hotel is run by the German Red Cross and is set inside the "Berlin Centre for Mother and Child". The Press Club Asparez for the seminar: With support from the Open Society Foundation, the Press Club Asparez publishes a daily newspaper, organizes most of the press conferences taking place in Guymri and promotes freedom of the press. The residence was conducted on an intensive rhythm, 12 days extremely dense, alternating plenary meetings, exercises with camera, film screenings followed by lively group discussions, and of course long individual working sessions so that each one progresses through the writing of his project. A programme developed and adapted to the daily progress of projects by two trainers: Jacques Deschamps and Vladimir Léon.